Hi, it’s me Havalah from Sisters, What! here again to share something that I absolutely love. We moved into first house about a year and half ago and for the year we didn’t put anything up on the walls. My husband kept asking if he put up our old pictures, but everything we had was meant for a smaller size temporary apartment. Fun fact about us, during our first 6 years of marriage, we moved 5 times. But now we are permanent and I’m a little intimidated by our walls. 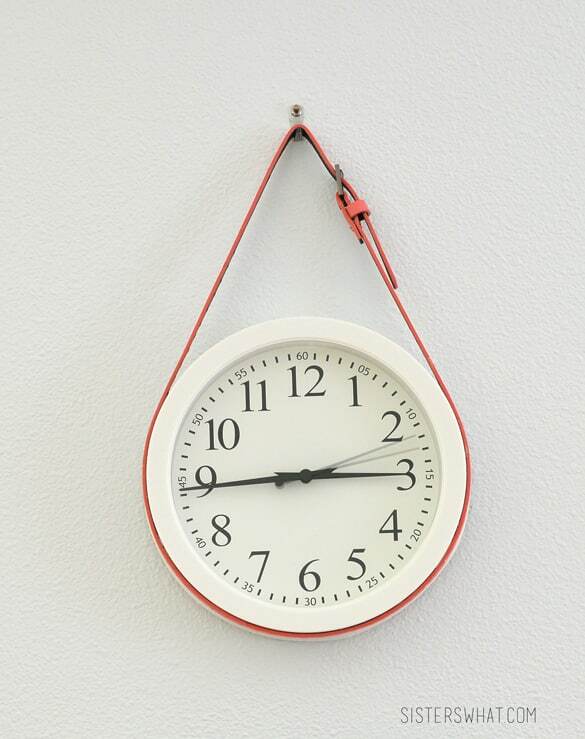 Finally, I wanted a clock on our wall. I can’t stand living in a place with no clock. Our old clock died on us (rest in peace) so I got an $5 one at target. I remember seeing a while back a clock that was hung by a really cool leather belt. So I thought to myself, “why not DIY my own fancy belted clock!” Well, I had this coral belt and thought we’d give it a try. My husband thought I was a little crazy, but he let me do it. 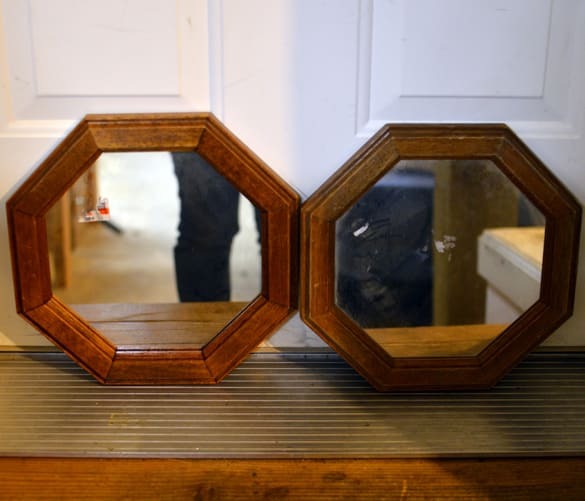 I also thrifted these really octagonal shaped mirrrors and gave them a nice update with a little spray paint. They fit perfectly next to the clock. 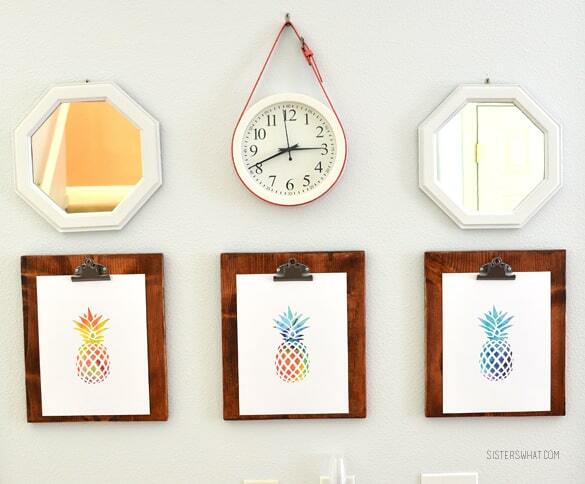 We also had these clipboards that I made that fit nicely below the clock and mirrors. I love those because I can easily rotate pictures of the kids or other pictures. I really love our “fancy” belted clock. Probably my favorite thing about it is that it’s the best conversation starter. 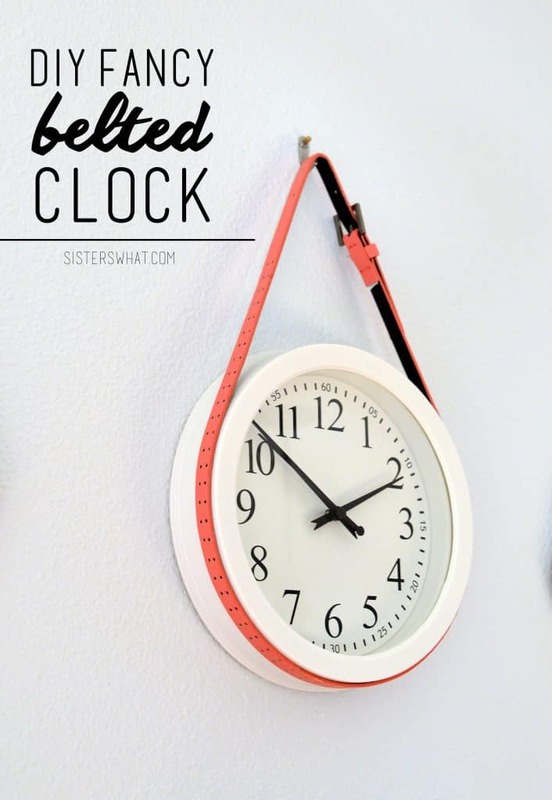 “Oh, there’s a belt around your clock.” Yep, there sure is. So there you have it, my DIY fancy belted clock. I love the way this turned out, Havalah! 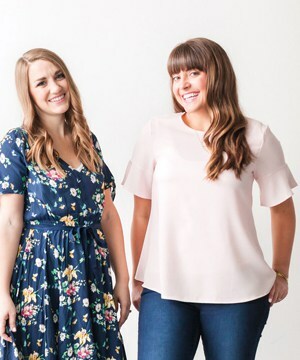 Such a simple idea with a big impact! Pinned. Thank you Heidi! I really love it!